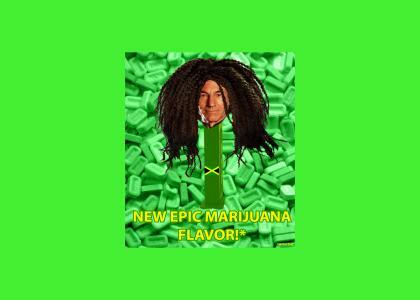 EPIC NEW PEZ DISPENSER AND EPIC NEW FLAVOR! Pacard's dreads seemed to have gotten a bit more epic since his last site. Typical American advertising. It's GANJA FLAVA! But still epic. "pacardsdreads" - an account that was created the same day as this site. The account has 8 votes - 1 of which is a 5 for this site, and 4 of which are 1-votes against the sites that were at the top of the contest list when this was made. You stay classy, pacardsdreads. There's your fine print. where the hell is goneja? heroes must win in the end! f*ck you, now i can never watch Soylent Green again without thinking about this! soilent green pez.... IT'S PEOPLE!!!!!! Seriously, it's a contest for f*ck's sake. 5* for Claudios l33t hair doo! I love the green PEZ they look good as hell. so it's marijuana in pill form? they've already made stuff like that but it's not nearly as effective. Do I get a bronze? YES!!!! LOCK THE VOTE IN IT'S 4.20!!!!! not any more its not. CAPTAIN PICARD REPLICATES AND SMOKES WEED EVERY DAY! I was at work today. I haven't visited this site in months. I was thinking about messaging Blommer to say, "Dude, we need more Pacard." AND I COME ON THE SITE AND IT'S PACARD! What is the song that was used in this page?